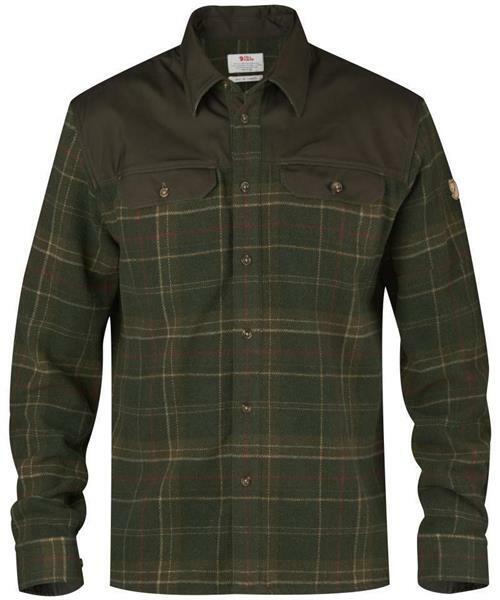 Granit Shirt - Mens is rated 5.0 out of 5 by 2. Rated 5 out of 5 by jk123 from Nice shirt! I just received this shirt today, very pleased with the quality. The fit seems a bit tight in the shoulders, sleeve and body length is true to size. The shirt seems very durable and well made. G1000 elbow patches would be a great addition but not a big deal. I am pleased with this shirt and it should last for a long time. Rated 5 out of 5 by Shayne21 from Nice Shirt/Jacket It's more like a jacket than a shirt. The wool blend is pretty thick. I wear medium in button down shirts. This medium Granit shirt fits me well but has lots of room for a sweater underneath (fits like a jacket). I do wish it had elbow patches but overall I'm super happy with the quality and fit. Would recommend.